Don’t miss any of our Instagram for Business blog series posts (new posts each week this month). Sign up today to receive email updates for the SocialNicole blog. So, you’re working for a business that is trying to up its social media game. Believe us, we know the extreme importance of using social media marketing for business (social media marketing is our entire business). Maybe you’ve toyed with the idea of beginning an Instagram account for your business, but are overwhelmed by the process or unsure of the benefits. Although Instagram is newer to the business world and can seem daunting, it certainly has convincing selling points, from it’s image-centered focus to its interaction opportunities which are only going up. Instagram has made scrolling through posts and tagging users and locations easy, and is becoming increasingly optimal for community-growth. Instagram is arguably one of the most fun social media platforms, but it’s definitely more than a fun trend. Your business can use the app to promote events or contests, share customer-submitted contests, and create a personalized sense of community for your brand. Instagram is here to stay, and that includes using Instagram for business marketing. Below, we have laid out the why and how of using Instagram to help you make a decision on whether or not your business should leverage Instagram and how to get started. As we said above and we will say again, Instagram is all about images. This makes it a visual marketing gold mine. On any social media platform, adding an image is at the top of the list of ways you can make your posts more engaging. It’s a known digital marketing fact that people like pretty things. Images that are colorful and eye-catching really do work to help drive interaction and interaction is a key part of social media marketing. Interaction helps a passive viewer to make concrete associations with a brand and this leads to more brand awareness. 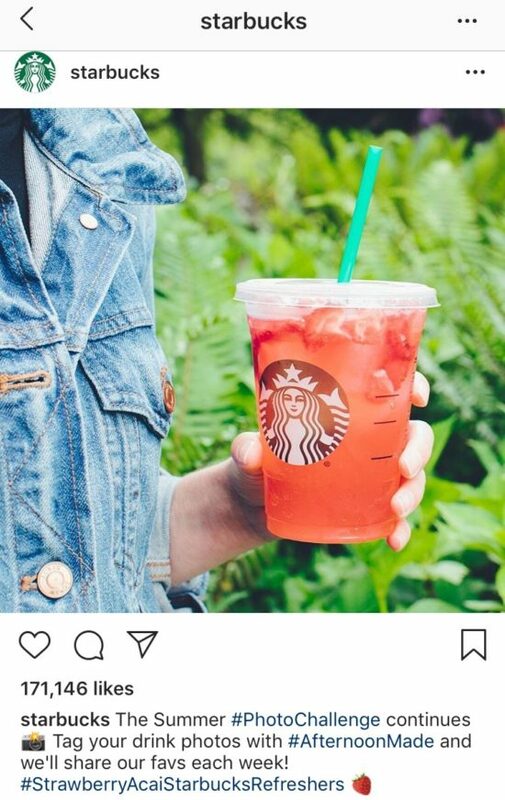 Instagram offers a unique opportunity for companies to show their personalities and branding through the images they share. This makes a brand’s identity more visually appealing than trying to encompass brand identity in a plain text post. *If you are a business that has a lot of visual aspects and also has some creative staff willing to take a lot of fun and interesting photos, Instagram may be a perfect fit for your social media marketing mix. And if your business is not that visual, it may be time to start thinking about how you can make what you do more visual. Social media marketing is the future for all business success and on social media the optics matter. *Note: Before setting up a business Instagram account, please consider whether your company or brand is visual or can become visual. You will need a lot of photos and/or graphics, videos created on an ongoing basis to provide content for your Instagram account. While you might think that Instagram is just a trendy platform, that is far from the truth. Instagram is now being used by many major brands, and, with the rise of Instagram Influencers, it has become a leading marketing and advertising platform. Instagram now has approximately 1 billion monthly users. This is huge, considering that Instagram is much newer platform than Facebook and Twitter. 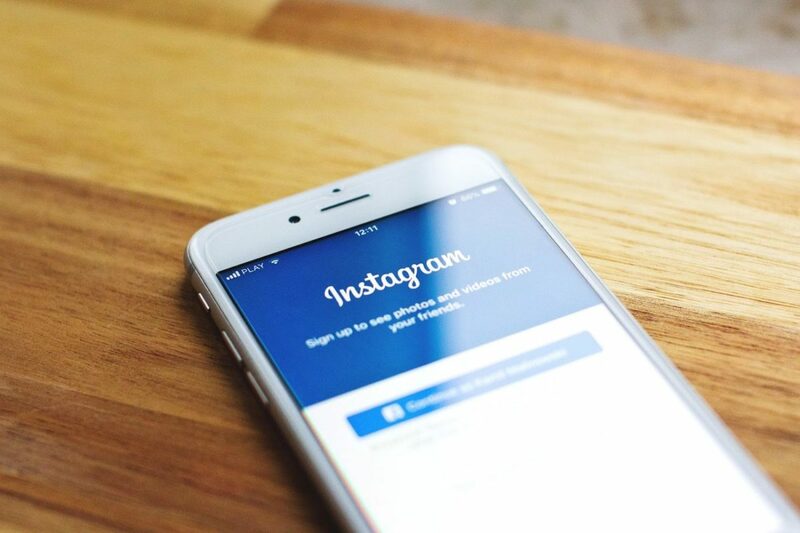 Given the fact that Facebook purchased Instagram in 2012 and has invested in both it’s ad capabilities (integrating it with the Facebook ads platform) and adding more features for businesses to grow their presence (such as stories and filters) it is clear Instagram is here to stay. Again, businesses need to assess if this is a good platform to invest their time and resources into growing an audience, but as Facebook continues to make it more business friendly it will be a difficult platform to avoid. Instagram used to be less than the best when it came to interaction – it allowed for no more than double-tapping to “like” a post and the option to leave a comment. NOW, Instagram has implemented many more features interaction and engagement such as sharing a post or a story in a DM or archiving your posts or someone else’s to save for later. Instagram has also added the capability to include links in profile bios, live video stories, and the nifty “swipe up” feature on stories. Add to that Instagram TV – the most recent addition to the Instagram toolbox and this platform continues to grow as a powerhouse social media channel. 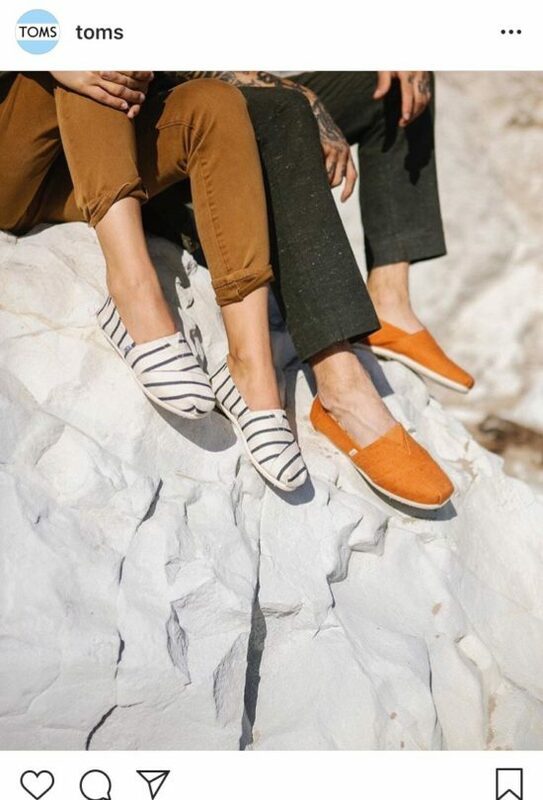 Brand awareness is an important part of any business looking to build their market share and a carefully planned Instagram strategy can build brand awareness. Instagram is streamlined. Unlike Facebook or Twitter which display posts in a one-by-one stream, when a user goes to a business’ Instagram profile, the posts are laid out in a grid, making it easier for users to find older posts and promotions quickly. A potential customer can visit your business’s Instagram page and get a quick glimpse of your brand image and personality just by looking at the most recent images on your profile, unlike Facebook or Twitter where users have to scroll through multiple image posts mixed with text to get a sense of your business brand and personality. Furthermore, Instagram allows for sharing multiple photos in a single post, and also has the capability of linking to products so users can shop from a post or a story (this is a new feature not available to all accounts yet). It is also easy for followers to share stories or posts with their friends through tagging. Finally, hashtags are also used widely on Instagram, even more-so than on Twitter. While on Twitter using too many hashtags is seen as “spammy” behavior, on Instagram there is no such thing as using too many hashtags. Instagrammers love hashtags and it is widely accepted to include as many relevant hashtags as you would like! You can place hashtags in the comments of other people’s posts to help get their posts show up in searches as well. The ease of which you can tag and hashtag on Instagram along with the streamlined layout makes this platform very popular and positioned to continue to grow. As a business or brand it is becoming imperative to figure out if and how you could leverage this platform to grow your online community and customer base. Instagram might be the most fun social media platform out there. With all its opportunity for color, creativity, personality, and aesthetically-pleasing feeds, it’s no wonder that it has become the platform where many people are directing much of their energy. Instagram can provide a creative and enthusiastic space for sharing your content and your brand personality. The challenge is finding the fun in your business and showcasing it in a visual way. For some this will be easier than others. We said a lot in the section above about driving engagement and building a following for your business’s Instagram account, with the point that engagement will grow your customer base. While this is true, reaching a higher number of followers or likes per post does more than that, it allows you to interact and build your customer base. Interaction can help create a sense of community within your brand. One way to build community is to engage with your community, this means liking and replying to comments, asking questions or thanking your followers for their feedback. Engagement also means liking and commenting on other people’s posts. The act of engaging with others posts is one of the biggest ways to gain trust and get people to interact with your own page and posts. Whatever you do while engaging, make sure you sound like a human, not a robot. Engagement begets engagement, which drives your posts to the top of the discover page. In time this will give you more community members to engage with!! It’s a perfect cycle – for your business and for your audience. You can also create a sense of community with your business’s Instagram account by making it clear what your business is about. If an individual comes to your page and is confused about what your business focus is, they may not give your account a second glance. In order to showcase your business and provide a clear vision about what your business is all about you should take advantage of the bio portion on your business’ Instagram page. Your bio allows you to clearly identify who you are, what your business does and most importantly how people can contact you. You can also use relevant hashtags to showcase your business niche. Another great way to use Instagram for your business is to share photos that your customers have shared with you! Photos of people wearing your brand merchandise or using your products are a great option for promoting your brand while also putting on display that awesome community that we talked about in the point above. Make sure you always get permission to share photos and tag people who submit photos when you have their account information. Tagging the person that originally shared the photo gives them some credit and makes them feel appreciated and recognized. You can use apps like Regram to re-post photos, which will keep the original caption while leaving room for you to add to it, as well as display the handle of the account you’re re-gramming from. When followers see that your business shares customer photos it just might convince more followers to share their photos with you and give you even more content to share! While Instagram advertising is a vast topic that merits its own blog post (coming soon! ), creating organic content to promote or advertise your business’ events or contests on Instagram is another great use for your Instagram business account! If your business has an event coming up, sharing daily countdown posts on your feed or on your story can help get people pumped up for the event and spread the word to others. You can also host a contest directly on Instagram. For example you can have people enter by liking or commenting on one of your posts. You can also have people enter by tagging friends in the comments, counting each tag as an entry, enticing people to tag multiple friends, therefore putting your post directly in front of that many more people (although tagging friends is allowed for contest entry be cautious as it could irritate people) . Another popular type of Instagram contest is a photo challenge contest where you have your followers complete a certain challenge and share photos or videos of them doing so with a unique hashtag to set the contest entries apart, or have them simply re-post one of your business’ Instagram photos with a certain hashtag. Either of these is a fun way to get your audience involved while also getting your name and posts in front of more potential followers. A list of Instagram contest guidelines can be found here; it is imperative you follow the guidelines set up by Instagram as they can shut down your page if you break the rules. Instagram can certainly be daunting, but the benefits are clear and abundant. Instagram is a fun platform for your business to grow its online community, with its ease of interaction and tagging, and the focus on the visual. More than just a trend, Instagram can be used for business growth by providing an opportunity for your business to host contents and promote events. Additionally, you can engage with your community and share customer-submitted photos for increased community growth. So if you haven’t made the decision to use Instagram for your business yet, now is a great time to consider it. It may be a great platform to add to your social media marketing arsenal. If you need some help with making a decision on whether or not to use Instagram for your business or want help leveraging Instagram to grow your business feel free to contact us today! In the meantime, sign up now to receive free blog updates in your inbox. We have plenty of Instagram advice posts coming out soon!